Re-Patterning takes the form of releasing the shadows of self, so that the light can shine through. Opening up a can of caterpillars so that they can transform into butterflies. I believe this is one of the greatest dis-ease antidotes, as the physical body is the last place illness manifests. 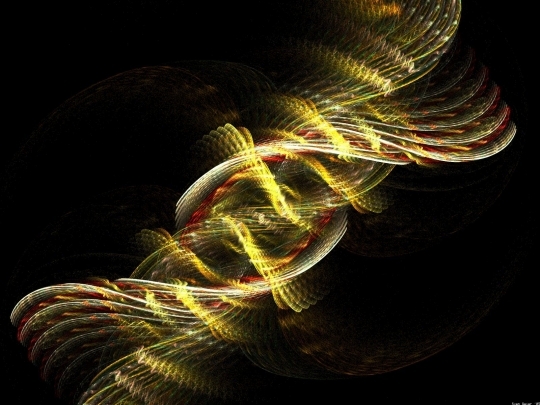 Studies show that re-patterning can actually shift DNA. I wish to share a snippet of my process through it with you. While I try to refrain from labeling, for I am much more than any label, I call myself an empath, for you to gain more understanding of what I am explaining. My body always lets me know everything that is going on, it never lies to me and I trust it explicitly. My body lets me know through intuitive feelings what is best for me, these feelings also let me know when things are positive or negative for the future or beyond. I know from my experience that my thoughts have their own frequency and resonate at different levels. Being empathic, I am able to feel exactly where my body holds every thought and feeling. The positive ones feel light and expansive, the negative ones feel like pin pricks or bullets. I don’t always understand all my empathic responses, I only know when they are released I feel amazing. When I have worked through a pattern, there is a clear feeling in my heart, stomach, back, neck or wherever I was having empathic residue. Many of the feelings in my body are not necessarily mine, as an Empath, I take on for others what they wish to heal and sometimes cannot do themselves. Also called a lightworker, I take other’s hurt, fear, anger, insecurity, agony on to be transmuted. Without the proper release these wounds (Ment. Phys. Emot. Spir.) of others sometimes become lodged patterns within me. I then go within and re-pattern with a belief I hold true for myself, or send love and light to it, if it is for someone else. This process includes monitoring of my thoughts and emotions, to constantly reinstate an evolving belief system. After re-patterning I am in a place of higher consciousness, with awareness of the interconnectedness of everything. It’s in this place that my ego dissolves and I remember all the triviality that can seem important DOES NOT MATTER. Space and time slip away into a place of non-duality, where positive and negative become non-existent. Awareness behind awareness, I am a little speck glimpsing it. All that exists is knowing, a knowing far beyond me, yet a part of me. A place of infinite love and intelligence, which is where I find my Divinity. Attaining a broader perspective within this consciousness is what drives me to be. It takes for me to remember and bring this awareness into every aspect of my life, I aim to see it reflected in every part of every moment. The glimpse of it can almost always be seen. There are many ways to attain this state, every religion, philosophical and spiritual discipline have their forms, the techniques may be different, yet the place of existence remains the same. In the many attempts to gain higher consciousness the one truth is, only within is where it is found. I am who I am constantly creating myself to be.